This news was fueled by the ever-present concern about how the NHL’s deal with Major League Baseball Advanced Media could lead to restrictions on fan-created media that we saw in baseball; and the curious absence of NHL GIF creator Stephanie Vail, who disappeared from Twitter last week. Vail, who creates GIFs under the handle @myregularface, has landed on several lists of influential hockey people and earned gigs with NHL teams this season for her tireless efforts on game nights. One thing, however: It’s not true, says the NHL. “I don’t know where this came from, so I’ll tell you on the record: It’s not true. There’s been no change to our policy. We have not shut down GIFs,” said Gary Meagher, executive VP of communications for the NHL. He said the policy won’t change during the postseason, but that there are always discussions about where the League and BAM want to take social and digital media. One place they wanted to take it, apparently, was in-house: As Elliotte Friedman of Sportsnet reported, Vail was in talks with the NHL for a job but ultimately declined to accept one. The NHL declined comment on if it’s still actively seeking someone to create that media for them. So, the NHL says it’s not banning GIFs, and won’t do so for at least the duration of the playoffs, but there are still big questions about why those popular GIF creators disappeared and why Vail told Scheig a ban was coming. 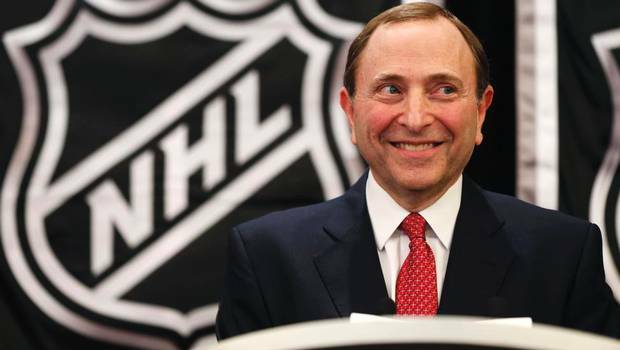 Did the NHL see the significant backlash and change its mind? Or was there never a ban on the way in the first place? We may never know. As we saw last October, though, there can be huge value for leagues in allowing the fan-created GIFs and highlights to be shared as well as the official ones. The NHL should keep that in mind.